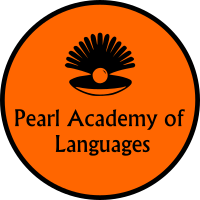 Pearl Academy of Languages was founded in 2010 by Ms. Pearl Jindal, a reputed name in the language development and training world for more than 10 years. An expert in Teaching (Français langue étrangère) (FLE) French as a Foreign Language to different levels, A1, A2, B1, B2,C1, PU, Certificate, Diploma, Advance Diploma students of the Alliance Française Network and different Public and Private Universities. She is currently associated with the Bangalore University and teaches History of France and Methodology of Teaching a Foreign Language to the Masters 1st and 2nd year students. 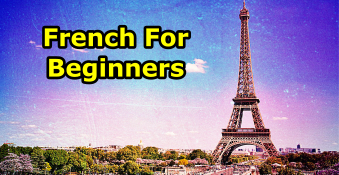 Pearl is a trained teacher of the Alliance Française and had undergone the 200 hours of practical and theoretical training of teaching French at various levels. She is also a certified DELF Examiner by the Centre International d'études pédagogiques, Ministry of Education, French Republic. She holds a Masters in French and Francophone Studies from the prestigious Delhi University and a Holder of the very prestigious Diplôme Supérieur from Conseil de l'Europe, Paris. 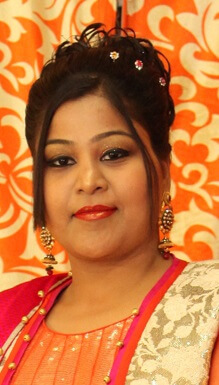 In her stint in the teaching domain, she has taught at top notch educational institutions of the country including IIM- Shillong, IIFT (Indian Institute of Foreign Trade), Delhi University-Hansraj College, Bhartiya Vidya Bhawan, Sharda University, Alliance Française de Delhi, Mount Carmel College, Guru Govind Singh Indraprastha University to name a few. She also has expertise in being a curriculum developer for various schools, Colleges and Private Institutes and has been a Member of the selection Committee of Sneh International School, DAV Public School, Rukmani Devi Public School and as a Chief Guest at D.P.S Indirapuram for their Indo-French Exchange Program. She has been a corporate trainer at the companies like Amazon India, IBM to name a few. She is a twice Scholarship Holder first as a Student of Lions Club and French External Affairs Ministry and has represented India at Paris and Bordeaux in South of France and then again as a scholarship holder of EGIDE and Embassy of France in India at Centre Universitaire d'Études françaises de l'Université Stendhal-Grenoble III. She have been an Interpreter twice for the French Presidential Delegations and for various Indian and French Companies like SENIDECO, EKYOG, ENTRE CIEL ET MER, SOGEBRAS et CAB, Government of the Wallonia Region of Belgium, government of the Republic of Reunion at Pravasi Bhartiya Divas, SORBONNE - 3, THEDIS (Helval), Republic of CONGO, Spicejet Airlines, HCL etc. and Translator for companies like France-24, L'Oreal etc. and other Indian companies. She is associated with Indian Association of Teachers of French in India.